Future of the series: Danna has released the next addition to the series which is entitled Lament the Common Bones on 11/21/17. In my search for a good forensic thriller, my choices have become quite slime as I have reviewed most of the good forensic thriller series out there. As I was about to give up, finding only mediocre or really bad series, I have come across a gem of a series that really piqued my interest and that would be the Abbott and Lowell series by Canadian writer Jen J. Danna with writing partner Ann Vanderlaan. This series has a combination of good ol’ forensic techno-fun along with a sensitive romance between two protagonists, Trooper First Class Leigh Abbot from the Massachusetts State Police and physical anthropologist Matt Lowell. Danna and Vanderlaan’s series stands out from other forensic thrillers by having the main female character take on the role as the cop with the geeky scientist being a man. 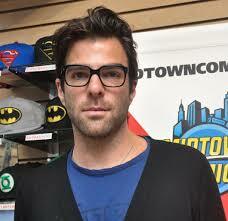 Even though Matt Lowell may appear to be as geeky as one can be, beneath all that intellect is an ex-marine. It may seem paradoxical to have a scientist and a marine in the same body, as marines are often stereotypically seen as testosterone driven, right-wing radicals and scientist as card-carrying liberal atheist but Danna and Vanderlaan’s character unquestionably pulls it off and makes for a fun character in this series. Leigh Abbott is what you expect from a female cop, tough on the surface but feeling vulnerable in a male dominated occupation. One unique feature of Abbott is that she is a state cop for the state of Massachusetts which is unique since most series usually portray the cops either as a city cop or as a FBI agent. By making this differentiation, Abbott can take on cases anywhere in the state of Massachusetts instead of being confined to the streets of Boston or having temporary jurisdiction as a FBI agent. Danna and Vanderlaan also show that state troopers are more than highway patrolman whose only purpose in life is to give us motorist speeding tickets. Then there is the dedicated slave labor of academia, the graduate students. The senior graduate student is Akiko ‘Kiko’ Niigata, the only female in the group with has an artistic flair. Paul Lange the group’s wise-guy with spiky blond hair to match his personality. Juka Petrović, the more somber member of the group who comes from Bosnia. This merry band of sleep deprived nerds is a nice addition to the series and I always enjoy seeing grad students being portrayed in science based fiction. Unquestionably, the best part of the series is the science. 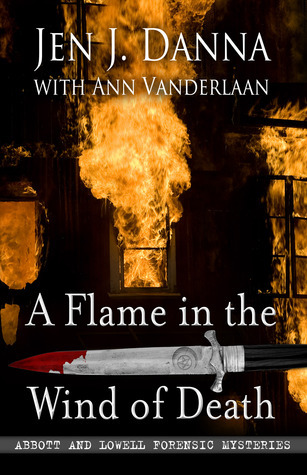 Danna and Vanderlaan starts out each chapter with a technical word in review with the word or phrase having a relationship with the theme of the book such as fire-fighting terms in A Flame in the Wind of Death and prohibition terms in Two Parts Bloody Murder. The geek in me just loves this kind of stuff as it makes the series not only entertaining but informative as well. Danna keeps up with the latest forensic science which she incorporates in her novels and writes about on her blog, Skeleton Keys. So for you die-hard CSI fans who love to see the latest forensic science techniques, this series is one that you do not want to miss. It would be best to read this series in order or at least read the first novel in the series Dead, Without a Stone to Tell It as it portrays the beginning of Abbott and Lowell’s relationship which sets up the basis for the rest of the series. There is a secondary storyline in which Abbott is in pursuit of an unknown person that is trying to discredit her father, a former state trooper who was killed in the line of duty, which begins in the 3rd book of the series and seems to be ongoing as the series continues. What about the science? 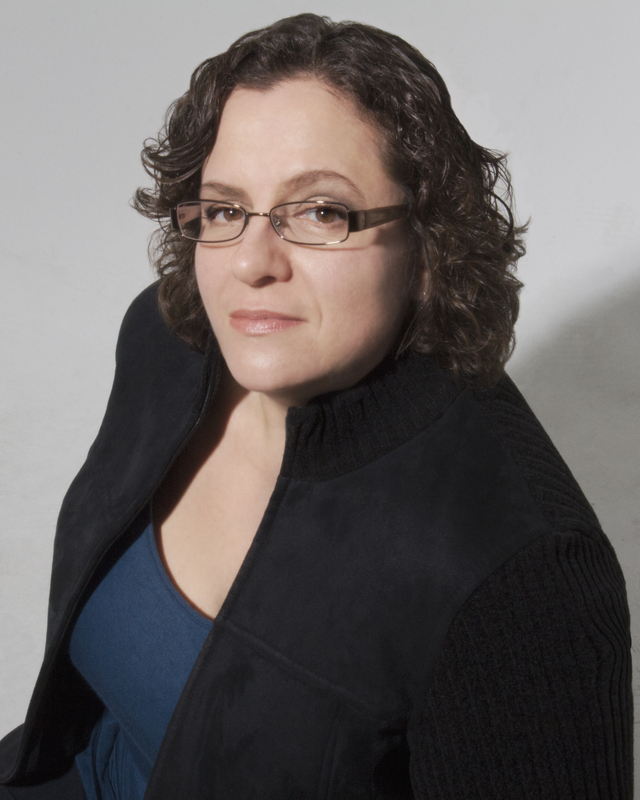 Jen Danna’s day job is working as a research support specialist at McMaster University in a laboratory that specializes in infectious diseases, so she is quite knowledgeable in the sciences. Danna explains the science in manner that makes it very easy for the lay person to understand. I do have a little issue on the usage of red vs white phosphorus and the reaction with latex mentioned in A Flame in the Wind of Death (see technical word in review) but otherwise the science is sound. 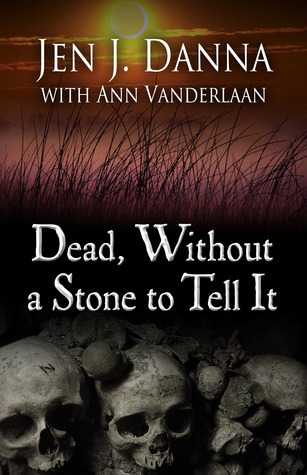 I am not quite sure what Ann Vanderlaan’s function is within the series as she doesn’t seem to be a co-author but instead a writing partner. Additionally, while researching, it was difficult to find any information about Ms. Vanderlaan with the exception that she formerly worked in the field of science. The Matt Lowell Technical Word in Review: Red phosphorus-Phosphorus as an element exists in various physical forms known as allotropes. The different allotropes are known as white, red, violet, scarlet and black phosphorus as well as the elusive di-phosphorus form. 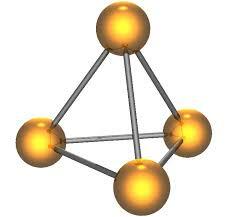 White phosphorus with the nickname ‘Willy Pete’ is a very unstable form of phosphorus which exists as a P4 tetrahedron. 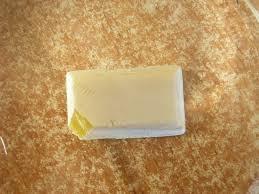 It exists as a waxy-like solid which can be colorless, yellow, or white depending on its purity. It oxidizes very easily and when exposed to air will ignite. Because of its reactivity to oxygen it is often stored in water. 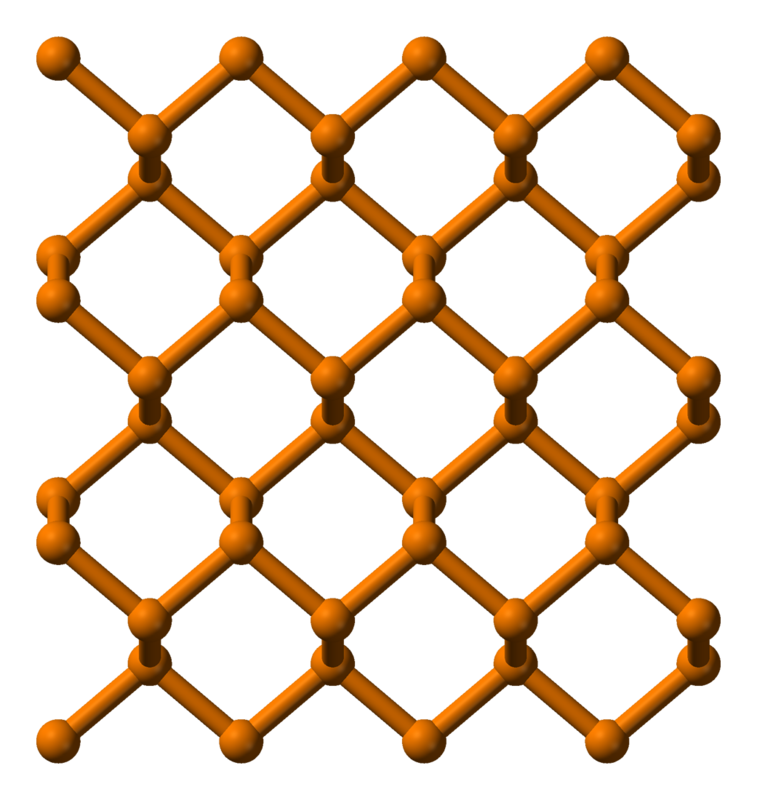 Black phosphorus is the most stable form and has a molecular structure much like a two-dimensional wrinkled sheet similar to that of graphene. 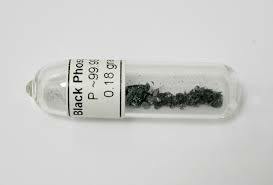 Black phosphorus is naturally produced under extreme pressures and has recently become the new darling material for nano-scientists and shows promising uses in optical sensing. Red phosphorus is formed by heating white phosphorus at temperatures of 250oC (482oF) or exposing it to the sun. Red phosphorus is considerably more stable than white phosphorus and will not ignite at room temperature. Heating red phosphorus in the presence of water will form phosphine gas which is extremely toxic as well as flammable. Red phosphorus is used as the strike plate on match boxes and when a match head, which is made of sodium or potassium chlorate, strikes the plate, the friction results in heat which converts the red phosphorus back to white phosphorus and ignition occurs. Red phosphorus has many other applications including uses in fertilizers, pesticides, and drugs including the production of methamphetamines. The other allotropes are considerably less common. 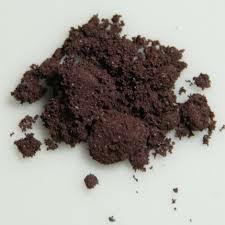 Violet phosphorus is formed by heating white phosphorus for extended periods of time. Scarlet phosphorus is formed by boiling red phosphorus in the presence of phosphorus tribromide. Scarlet phosphorus has physical properties similar to red phosphorus but reactivity properties similar to white phosphorus. Diphosphorus only exist as an intermediate in certain reactions and is extremely unstable. In this passage, I am dubious on Danna’s use of red phosphorus as a reactant with latex. Latex is fairly nonreactive to most chemicals and is the reason why latex gloves are useful in a laboratory setting as a protectant. Additionally, red phosphorus is relatively stable unless friction or heating in the presence of water is involved. I think in the balloon situation, Danna actually meant for the phosphorus to be white phosphorus which is actually reacting to the exposure of oxygen, not the latex, which results in ignition. Popular Science writer Theodore Gray, also known as the Mad Scientist, did a demonstration of the phosphorescent properties of white phosphorus by covering his latex glove covered hand with white phosphorus. The glove did not burn which gives credence that it was the oxygen that the phosphorus reacted to and not the latex. The night is never silent. When a human bone is found on a lonely stretch of coastline, a determined homicide detective and a reluctant scientist risk their lives when they join forces to bring a serial killer to justice. Trooper Leigh Abbot has something to prove, both to herself and to the chauvinistic men in her department. She’s been assigned a difficult challenge: solve a murder where the only evidence is a single bone. To identify the victim and find the killer, she must join forces with forensic anthropologist Matt Lowell. Matt’s initial refusal to join the team is only the first in a series of setbacks. Matt and Leigh’s skills and tenuous partnership are tested when the evidence leads them to a burial ground of unidentified victims, where, to their horror, they stumble upon a freshly ravaged corpse. As the body count rises, the team must piece together a deadly puzzle spanning years of clandestine killings. Before long, the serial killer raises the stakes and Matt and Leigh find themselves marked as targets. Now they must stop the killer before they become the next victims. Death has not come gently. As if by magic, flames suddenly burst in midair, slicing through the smothering darkness. At Halloween, Salem, Massachusetts is a hot spot for Witch and tourist alike. But when a murder spree begins, a cop and scientist must team up to find the killer before a media circus unleashes, panic ensues, and more victims are killed. Forensic anthropologist Matt Lowell and Massachusetts State Police Trooper Leigh Abbott are called in to investigate burned remains following a fire in a historic antique shop. As Matt, Leigh and their team of graduate students investigate the death, clues point to Salem’s traditional Witchcraft community. However, having dabbled in the Craft as a teenager, Leigh is skeptical that someone who has sworn an oath of good to all and harm to none would commit premeditative murder, let alone kill in such a vicious way. A second body is found in a similar fire and the team begins to suspect that coven members are being framed. Now they must solve the murders before 100,000 tourists overrun Salem for what could be the deadliest Halloween of their lives. He stepped back from his handiwork, the wooden handle slipping from his damp fingers as the tool fell with a clatter to the scarred wood floor. Prohibition was a time of clandestine excess–short skirts, drinking, dancing . . . and death. But a murder committed so many years ago still has the power to reverberate decades later with deadly consequences. 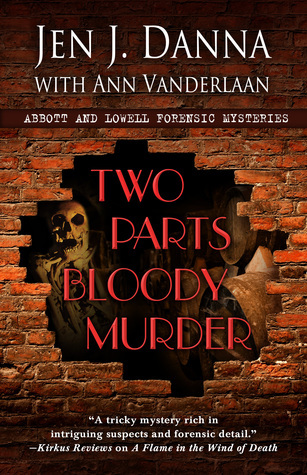 It’s a double surprise for Trooper Leigh Abbott as she investigates a cold case and discovers two murder victims in a historic nineteenth-century building. Together with forensic anthropologist Matt Lowell and medical examiner Dr. Edward Rowe, she uncovers the secrets of a long-forgotten, Prohibition-era speakeasy in the same building. But when the two victims are discovered to be relatives–their deaths separated by over eighty years–the case deepens, and suddenly the speakeasy is revealed as ground zero for a cascade of crimes through the decades. When a murder committed nearly forty years ago comes under fresh scrutiny, the team realizes that an innocent man was wrongly imprisoned and the real murderer is still at large. Now they must solve three murders spanning over eighty years if they hope to set a wronged man free. 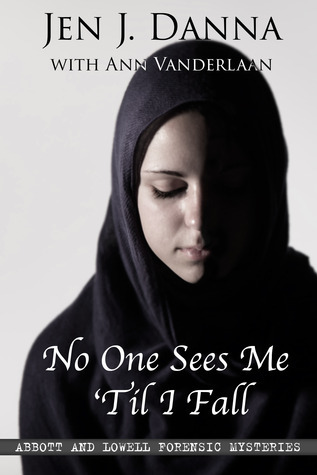 The victim’s breath gurgled a strangled cry as blood flowed hot and fast over dirty skin. Hi Victoria, first of all, it’s always nice to meet another scientist and ‘lab rat’. Thank you so much for reviewing the series and I’m thrilled that you enjoyed it. Just wanted to comment briefly on your thoughts on phosphorus (which were super!). In the case of A FLAME IN THE WIND OF DEATH, we really did mean red phosphorus. In fact, that’s a real incendiary device with those exact specifications. We had a team of fireman (acknowledged at the beginning of the book, and including the department fire marshal) and they had a brain storming session, comparing the best of the best of what they had personally experienced. The red phosphorus device was best for our needs as it was essentially a time sensitive device, giving the arsonist time to escape his own inferno, but it was also the most interesting device. So, in this case, it really was a actual combination that has started real fires. Hi Jen-Glad to see you found my review. I really enjoyed the series and I am looking forward in seeing more of Abbott & Lowell. I appreciate your comments on the red phosphorus. I am curious on the interaction of latex with phosphorus. I tried finding something about it in the literature but came up empty handed. 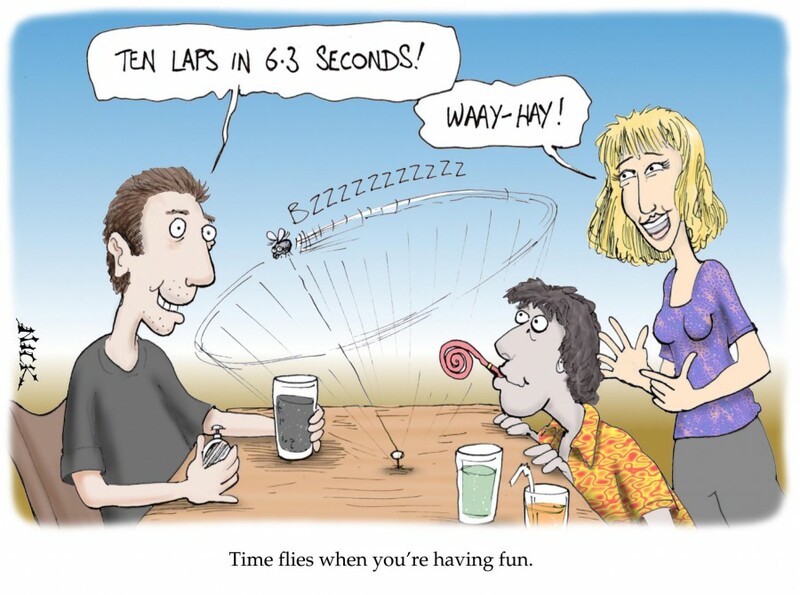 It is a neat device and I am looking forward in seeing what other fun science that you come up with in the series. FYI, the next Abbott and Lowell will be out in 2016. It’s called LAMENT THE COMMON BONES.